@BalazsLengyel: Technically team boss Bernie Ecclestone agreed not to run it again after Sweden, although FISA was looking for a way to ban it. The car won by 34 seconds with Niki Lauda at the wheel, which was a success in terms of design concept. But the point was that we don't see such radical designs anymore. What if they implemented a cost cap by turning real money into tokens? Suppliers would have to register and get paid via an internet-based system that would be cleared and administered by the FIA. Teams put their money on account with the FIA, suppliers draw it down. No one would be allowed to know how they were spending just how much of the budget was spent. @mfbull: It's an interesting idea, but the problem of bigger manufacturers working on projects elsewhere that could influence F1. For example, Mercedes could have part of its road car division working on F1 tech that then finds it way onto the hard drive of a member of the F1 team. The money was spent in the road car division, so wouldn't be under the same scrutiny. At least that's the excuse offered by teams, I tend to agree that some form of accounting could nail down budgets. @Laurence: "Good point well argued, magna." I hate to draw comparisons between NASCAR and F1, but homologation in NASCAR has made the sport all about the drivers, their personalities, and their sponsors. It gets old. Car people want to see innovation and radical ideas. When you go to a car show, do you check out the new Corolla? Some time ago there was a proposal to limit aerodynamic downforce instead of regulating all the aero elements individually. What happened to that? @BalazsLengyel: I'm not sure I heard that one, but presumably you mean a downforce figure that all teams can't go above? The only problem is that it's very difficult to get an exact reading on downforce. Teams have points systems but even different windtunnels give different results. Where do you measure it from? Each car has a different aero balance. I'm with Newey on development. Cap the money spend but allow more innovation. New innovations can find it's way to road cars but currently there is nothing exciting. It's to regulated. Perez returns to the pits after five laps, leaving Ericsson out there on his own. 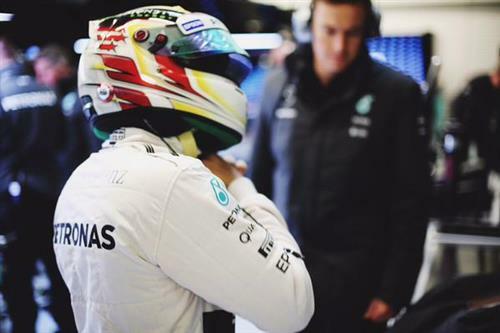 Think it's unfair for Hamilton to impose on Rosbergs testing time. I am sure the drivers want to get as much time themselves as possible. @DonovanFroon: I'm pretty sure it was a team decision. Rosberg could have slotted in yesterday, but he was also not fully fit due to a trapped nerve in his neck. It may also be that Rosberg does not want to strain his neck too much after a solid morning of 66 laps. Nate's first story from the Arrivabene press conference is up. Ferrari is willing to supply Manor with last year's engine to help it return to the grid. It looks like 2015 is shaping up to be more competitive among the teams, can the broader commercial context in F1 get solved, without a leadership change? Will that move enough baggage to get to real change (however you define that, key demographic, overall ratings, more advertisers/sponsors in f1, financial distribution among teams - all of which are key challenges) or solve nothing? I personnally think that today's regulations force more the engineers to work on the grey areas, so little they are. They don't get loose at ideas and innovations. Honda engine has done only 15% of the Mercedes engines mileage today. If we include Jerez, it is less than 7%. We're going to remember the fantastic 2010 season because of the amazing racing, not because of the good looking cars (because there weren't any). 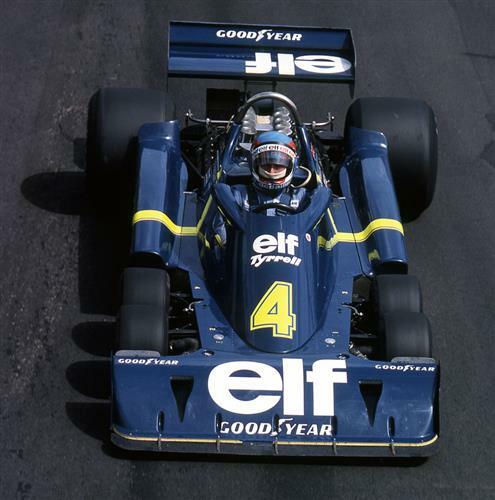 But we'll always love the special cars (The fan car, six wheeler, and the gorgeous Lotuses of the seventies.) 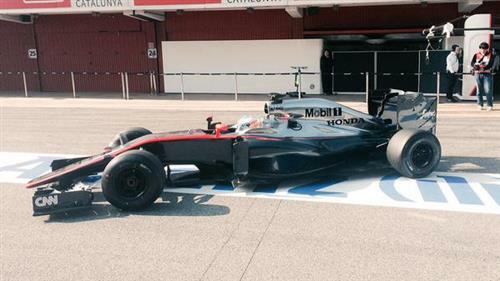 There hasn't been a good looking F1 car since 2005 when McLaren had the devil horns. I am from the old generation who saw the high wings on the Brabbham in the late 60' and the Chapparal shoe Box in the Can-Am series. That was also great innovations. @MIKEB: The Caparral was the original fan car, wasn't it? Jim Hall was the Adian Newey of the 60's and 70's, just before we got a brilliant guy name Colin Chapman. 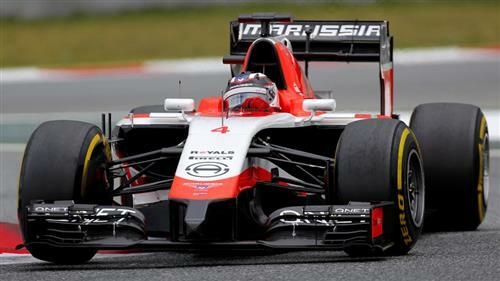 The McLaren is back in action this afternoon again. Remember, the MGU-K still has its faulty seal from yesterday - a proper fix will arrive tomorrow. @Lawrence. I am sure that today, a lot of those brilliant engineers who had that kind of liberty of expression wouldn't even interested to work into that kind of (excuses the expression) this kind of brain repression, with so much regulations. It was a downforce aspirated lower fan. It was disqualified because of the snomobile engine who drove it, and combined, was exeding the total cu/in. of the car engine's limit. But it was like a car on rails, so impressive to see!!! Raikkonen is back on track on the hard tyres. Ricciardo out there on mediums at the moment. @ Laurence. Thanks for the photo of the Chapparal. Even at that time, a guy named Bruce McLaren asked to drive it, but he also had a piece of art in his hands. Bruce left us few months later at Goodwood. Quick update from the track for you before another Ferrari story. Hamilton is wasting no time out there and already has 17 laps under his belt. Not many green or purple times to tell you about from the last 15 minutes but Ricciardo, Raikkonen and Sainz are all out on track with the world champion. 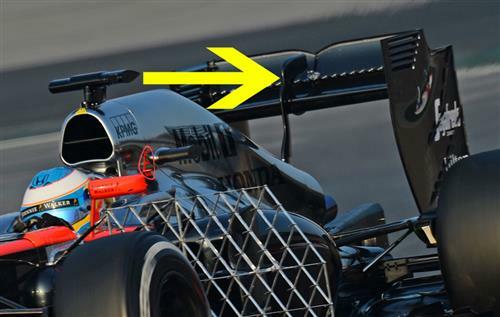 What's the bit coming up the middle of the McLaren spoiler? Not a monkey seat, surely. Its quite unnusual to see a RB topping the timesheets, even when they dominated the championship. Is there a Renault reborn?